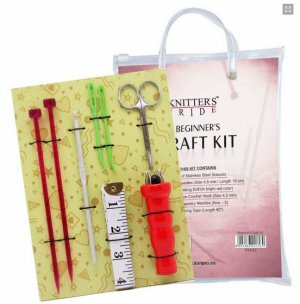 We hope you enjoy browsing our entire selection of Knitter's Pride Needles! 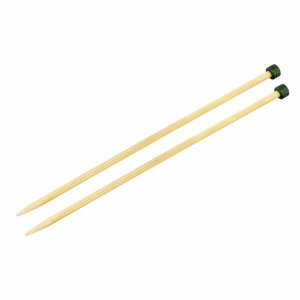 Bamboo Single Pointed Needles from Knitter's Pride are manufactured using high-quality Japanese bamboo. 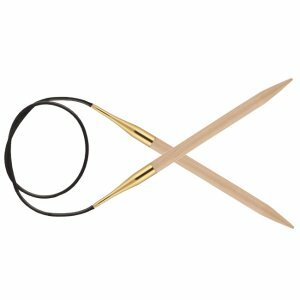 These needles are lightweight, yet strong and flexible, and feature perfectly tapered points with a smooth finish for hours of enjoyable knitting. Available in sizes US 0 (2.0mm) to US 15 (10.0mm) and in lengths of 10" (25cm) or 13" (33cm). 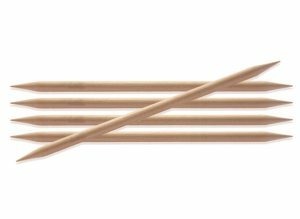 Made from the finest quality Japanese bamboo, these Tunisian crochet hooks have a perfectly smooth fihish for easy crocheting. 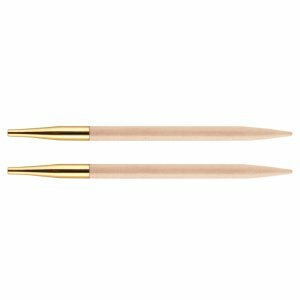 The hand crafted tips have 24 Karat Gold plated ferrules and connectors which create a smooth join and allows for snag-free sliding of yarn. Each set contains 8 of the most frequently used hook sizes which include US sizes E, F, G, H, I, J, K and L (3.5, 3.75, 4.0, 5.0, 5.5, 6.0, 6.5 & 8.0mm). Four cords (1 Cord each of 24" & 40" and 2 Cords of 32"), one set of cord connectors, eight end caps, and four keys are also included. 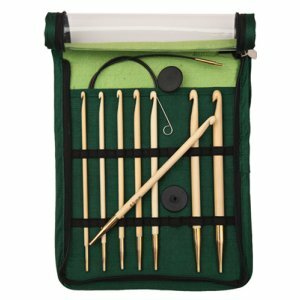 Each beautiful set comes in an elegant green fabric case with clear vinyl front flaps for convenient organization. Hand crafted by skilled artisans, these crochet hooks are made using natural birch wood. Strong yet lightweight, these hooks are warm to the touch and gentle on the hands. The larger sizes work will with bulky yarns, and the pollished surface ensured effortless glide when used with any type of yarn,, plus each hook has grooves that prevent stitch slippage! Basix are ideal for any project with a smooth surface for seamless stitch gliding and no snagging! The slightly blunt tips paired with the lightness of birch and the strength of natural wood make these a great choice for beginners and experts alike. All of the sizes in the Basix Double Pointed Needles are 8 in length. Basix are ideal for any project with a smooth surface for seamless stitch gliding and no snagging! The slightly blunt tips paired with the lightness of birch and the strength of natural wood make these a great choice for beginners and experts alike. These interchangeable tips can be used with any Knitter's Pride interchangeable cords except the cord to make a 16 circular (the tips are too long to work properly with that cord lenght for knitting in the round). These special interchangeable tips are shorter than a normal interchangeable tip and can be used with any Knitter's Pride interchangeable cords as well as the cords for making a 16 circular needle. The cuboid shape in the square cross-section gradually gives way to perfectly tapered birch wood needle points that creates a unique ergonomic shape that provides comfort to the hand and yields uniform stitch formation. The double points are perfect for socks!